Jeff Chatlos is the founder and Broker of CRE Advisors based in Winter Park Florida. Educated at Florida State University, where he received his degree in real estate, Jeff quickly jumped into the commercial real estate arena in Orlando. Since his start, he has been assisting clients with all types of real estate transactions including investment sale and acquisitions, commercial lease negotiations, land opportunities, and bank owned transactions. Jeff has also received his Masters of Accounting from Nova Southeastern University and has applied this knowledge for his clients in financial cash flow forecasting and property tax valuation/appeals. During the industry downturn of late 2008-2010, Jeff was able to maintain a listed property volume of over $7,000,000 and closed transactions in excess of $3,000,000. It was during this time, while representing United Midwest Bank out of Ohio, that Jeff realized a need for a more personalized approach in a changing industry. Not soon after, Jeff founded CRE Advisors, a boutique commercial real estate firm and enlisted the efforts of Tyler Doggett as managing director. Jeff has stayed on the cutting edge of market trends, industry evolution, and tomorrow’s real estate hurdles. His commitment is to share his wealth of commercial real estate and financial knowledge while delivering a personalized experience to all his clients by taking the time to listen and understand their concerns and goals. Wm. 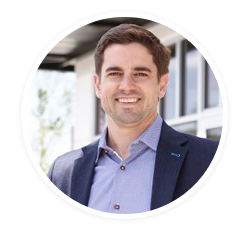 Tyler Doggett, MBA serves as Managing Director of CRE Advisors, a full-service, boutique Commercial Real Estate firm. Tyler specializes in Investment Sales and Special Assets Valuation & Disposition services throughout the Central Florida market. His current representations include one of the nation’s top banks for which Tyler sold 10 REO properties in the past year, and has coordinated the valuation of countless other non-performing assets. Tyler also represents one of the larger privately held global investment firms and is charged with generating value for its $1.83 billion fund. Tyler works closely with receivers and special servicers to provide advisory and recovery solutions. In addition to focusing on the distressed arena, Tyler represents numerous investors looking to acquire a variety of product types. His institutional relationships will provide investors an advantage when competing for the most sought after on and off-market deals. Tyler received his MBA from the Crummer Graduate School of Business, with a focus on Real Estate and Finance, and is also a graduate of Rollins College where he studied Economics and Communications. Currently, Tyler is currently pursuing the CCIM designation. 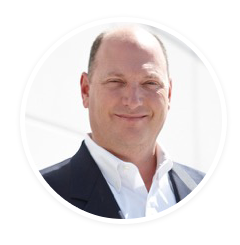 David brings with him 8 years of experience in the Central Florida industrial and retail markets. During his career he participated on lease and sales transactions in excess of $15 million. He has provided tenant representation services to numerous regional and national firms, as well as build-to-suit opportunities. Recently, David has been recognized by local and regional landlords for his professionalism and diligence in meeting their real estate challenges. 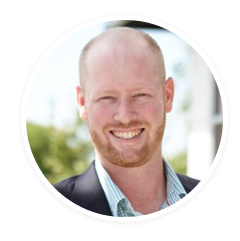 David prides himself on his attention to detail, and personal commitment to each of his loyal clients. Prior to joining CRE Advisors, David spent 8 years with McNulty Group, and 18 years with Publix in retail, supply chain, facility services, and pilot program implementation. David is a native of South Florida. David values community service, having serviced on United Way, Special Olympics, and other community organizations. He currently serves as Chair of the Board of Directors for The Mustard Seed of Central Florida, a local furniture bank.